New Delhi: Chairman of selectors MSK Prasad airs his views with a lot of clarity and one has to believe him when he says his committee had conviction in Karun Nair and Jayant Yadav's abilities, calling them the "true blue" products of a successful 'A' team system put in place by BCCI. "The true blue products of India 'A' system are Karun Nair and Jayant Yadav. I believe it is the emphasis on A tour by the BCCI that we are now finding finished and ready for international cricket players like Karun and Jayant," Prasad told PTI during an interview today. "The BCCI president (Anurag Thakur) and secretary (Ajay Shirke) had put a lot of emphasis on A tours and when you have a technician par excellence like Rahul Dravid mentoring them, you can't ask for more. 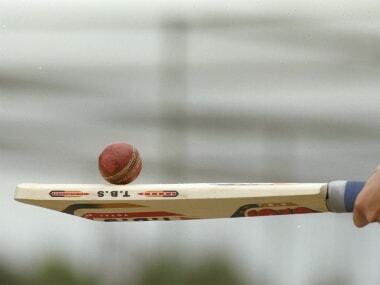 "Look, in India A's tour to Australia, Karun faced the likes of Australia international like Kane Richardson while Jayant bowled to current Test players Nic Maddinson and Peter Handscombe. So these two were ready by the time they were blooded in Test team. So the system put in place needs to be lauded," said Prasad. The chairman also said that Karun's triple century did not surprise him one bit as the think-tank knew about the youngster's potential. "We had full confidence in Karun's abilities as a match-winner. This committee firmly believes in grooming young talent. The selection committee's philosophy is simple. Firstly, we (selectors) need to get convinced about a youngster's abilities. We need to feel that the boy deserves to be in the side and can be a big force in international cricket,"
"If we are convinced that a young player can go on to become a match-winner, it is a matter of time before he would get a chance," the former India wicketkeeper said. Playing in the fifth and final match against England, Nair (303 not out) became only the second Indian to notch up a triple century in Tests. Prasad might have played only 6 Tests and 17 ODIs but the 41-year-old is of the opinion that no talented player who deserves to don national colours should be dropped without being given a fair chance to prove their mettle at the highest level. "Few failures are bound to happen. It's not easy to expect anyone to just go out there and deliver results from Day 1 itself. You don't just pick a player and then drop him for good. That is never good for confidence of any young player. One must understand that a team is a combination of individuals and good performance happens when everyone is confident," said Prasad, who has also been an administrator. "If somewhere something is lacking, then we come into picture. When we pick a player, we want to ensure that the boy gets enough chances to perform. Any good youngster is future of Indian cricket and they need to be persisted with. We (current committee) did not have lengthy India careers but when we took over, our sole aim has been to identify the right players with potential. That has been our endeavour," he said. 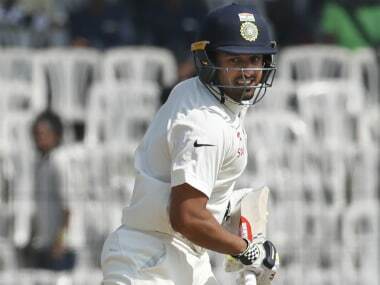 Now that Karun has scored a triple ton, asked how difficult the task would be for him and his colleagues when Ajinkya Rahane comes back, Prasad replied: "It's a very healthy sign that we have so many performers. One needs to understand that only 11 can play and it will always be dependant on the indset of the team management as to what they think is the best possible combination for a particular situation. "Take the case of Amit Mishra. He had a tremendous ODI series against New Zealand. 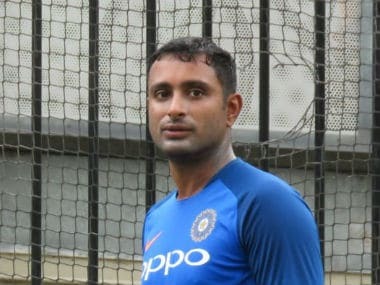 He got a five-for in Visakhapatnam ODI but when it came to the Test match, Jayant Yadav was picked. It was the same venue, same ground but it wasn't an emotional decision but a practical one considering the number of left-handers England had in their playing XI," Prasad cited an example to explain the selection policy. 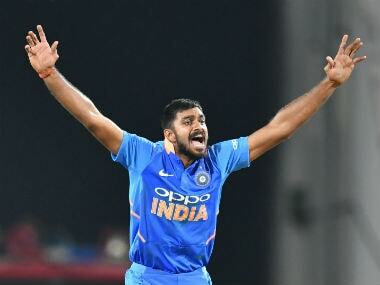 So who among Jayant and Karun is the more satisfying selection considering their stand-out performances, Prasad said: "I will not like to differentiate as both have been equally satisfying. Jayant proved us from ball one and Karun showed what he is capable of." For Prasad, the Test team under Virat Kohli is playing "inspirational cricket" just like the 'Class of 93' under Mohammed Azharuddin and the team of 2000 under Sourav Ganguly. "It gives me so much pleasure to see the fighting spirit of the boys. The confidence level has been tremendous. Even in domestic cricket, there used to be a perception that if a team batting first scores 400 runs, more often than not, it is a drawn game. But here if the opposition scored nearly 500, we replied with 750 plus and also won the match," he sounded satisfied. "What was important was how we approached batting second. This young bunch has immense self belief and quality to inspire. Just like the team that was led by Azharuddin in 1993 and the team led by Dada (Ganguly) in 2000," concluded Prasad.